Ford has shown us some of their SEMA presence, particularly the Mustang stand and the F-150 custom list already. It seems that the Blue Oval is very happy with what they’ve got ready at SEMA but they still have a new car to show off over there. The interesting thing about the new customized Ford you can see at SEMA is that it’s a sensible version. Unlike previous attempts with Ford pickups that are jacked up, painted in retina burning colors or the pink Mustang convertibles and such, Ford is now bringing a Police Interceptor to the Las Vegas show. 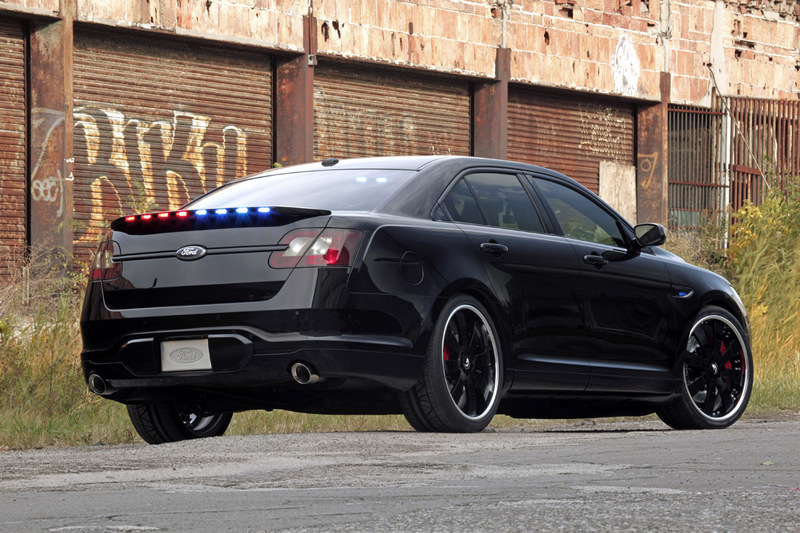 The new Ford Police Interceptor isn’t the typical version your average law enforcer will be driving shortly. 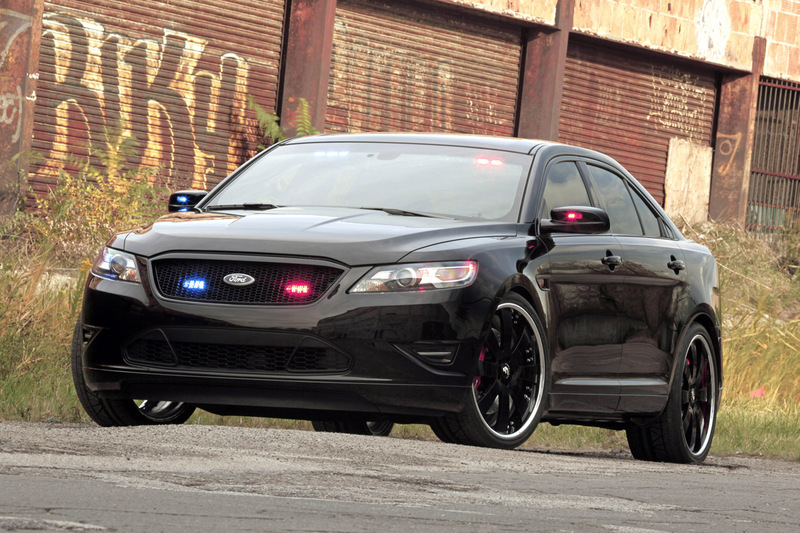 This is a Ford Police Interceptor that’s gone stealthy. With inspiration drawn from the famous SR-71 “Blackbird” spy plane the Stealth Interceptor is a lowered version of the regular Ford Police Interceptor that also has some very impressive 22 inch black wheels. In order to add to the stealth effect, the custom Ford Police Interceptor now has a set of smoked taillights and seriously tinted windows. Apart from these changes, the Ford Stealth Police Interceptor doesn’t have many changes but it does feature some concealed strobe lights and blues and twos.